Sejarah membuatnya jelas, bahwa legenda Muslim fanatik menyapu dunia dan memaksa Islam pada titik pedang setelah menaklukkan ras adalah salah satu mitos yang paling fantastis absurd bahwa sejarawan yang pernah diulang. De Lacy O’Leary in ‘Islam at the Crossroads,’ London, 1923. “Ini bukan propagasi tetapi keabadian agamanya yang patut mengherankan kami, kesan murni dan sempurna yang sama yang terukir di Mekah dan Madinah yang diawetkan setelah revolusi dua belas abad oleh India, Afrika dan proselit dari TurkiQuran …. Para Mahometans telah seragam bertahan godaan untuk mengurangi objek iman mereka dan pengabdian ke tingkat dengan indra dan imajinasi manusia. ‘Saya percaya pada satu Allah dan Muhammad Rasul Allah’ adalah profesi simpel dan seragam Islam. Citra intelektual Dewa belum pernah terdegradasi oleh berhala tampak; kehormatan nabi tidak pernah melanggar ukuran kebajikan manusia, dan ajaran hidupnya telah menahan rasa terima kasih dari murid-Nya dalam batas-batas akal dan agama “. Reverend Bosworth Smith in ‘Muhammad and Muhammadanism,’ London, 1874. Beliau adalah Seorang Kepala Negara sekaligus Kepala Gereja, ia Caesar dan Paus dalam satu, tetapi dia adalah Paus tanpa pretensi Paus, dan Kaisar tanpa pasukan Caesar, tanpa tentara tetap, tanpa pengawal, tanpa kekuatan polisi, tanpa pendapatan tetap Jika pernah seseorang diperintah oleh hak ilahi,. itu adalah Muhammad, karena dia memiliki semua kekuasaan tanpa dukungan mereka. Dia peduli bukan untuk tuntutan kekuasaan. Kesederhanaan kehidupan pribadinya ini sejalan dengan kehidupan sosialnya. “Dalam Pandangan Islam setiap hal menjadi berbeda. Bukan lagi gelap dan misterius, tetapi dalam sejarah yang kita memiliki …. Kita mengetahui dari sejarah eksternal tentang Muhammad …..
Islam adalah agama yang dasarnya adalah rasionalistik dalam arti luas istilah ini dianggap etimologis dan historis …. ajaran Nabi, Al-Qur’an telah selalu terus tempatnya sebagai titik awal yang mendasar, dan dogma persatuan Allah selalu menyatakan di dalamnya dengan keagungan keagungan, sebuah kemurnian dan tidak berubah-ubah dengan catatan keyakinan yakin, yang sulit untuk menemukan melampaui berada di luar batas Islam …. Sebuah keyakinan begitu tepat, sehingga kehilangan seluruh teologis kompleksitas dan akibatnya sehingga dapat diakses oleh pemahaman biasa mungkin diharapkan untuk memiliki dan memang memiliki kekuatan luar biasa untuk menang jalan ke hati nurani manusia. Alphonse de LaMartaine in ‘Historie de la Turquie,’ Paris, 1854. “Never has a man set for himself, voluntarily or involuntarily, a more sublime aim, since this aim was superhuman; to subvert superstitions which had been imposed between man and his Creator, to render God unto man and man unto God; to restore the rational and sacred idea of divinity amidst the chaos of the material and disfigured gods of idolatry, then existing. Never has a man undertaken a work so far beyond human power with so feeble means, for he (Muhammad) had in the conception as well as in the execution of such a great design, no other instrument than himself and no other aid except a handful of men living in a corner of the desert. Finally, never has a man accomplished such a huge and lasting revolution in the world, because in less than two centuries after its appearance, Islam, in faith and in arms, reigned over the whole of Arabia, and conquered, in God’s name, Persia Khorasan, Transoxania, Western India, Syria, Egypt, Abyssinia, all the known continent of Northern Africa, numerous islands of the Mediterranean Sea, Spain, and part of Gaul.“If greatness of purpose, smallness of means, and astonishing results are the three criteria of a human genius, who could dare compare any great man in history with Muhammad? The most famous men created arms, laws, and empires only. They founded, if anything at all, no more than material powers which often crumbled away before their eyes. This man moved not only armies, legislations, empires, peoples, dynasties, but millions of men in one-third of the then inhabited world; and more than that, he moved the altars, the gods, the religions, the ideas, the beliefs and the souls. “On the basis of a Book, every letter which has become law, he created a spiritual nationality which blend together peoples of every tongue and race. He has left the indelible characteristic of this Muslim nationality the hatred of false gods and the passion for the One and Immaterial God. This avenging patriotism against the profanation of Heaven formed the virtue of the followers of Muhammad; the conquest of one-third the earth to the dogma was his miracle; or rather it was not the miracle of man but that of reason. “The idea of the unity of God, proclaimed amidst the exhaustion of the fabulous theogonies, was in itself such a miracle that upon it’s utterance from his lips it destroyed all the ancient temples of idols and set on fire one-third of the world. His life, his meditations, his heroic revelings against the superstitions of his country, and his boldness in defying the furies of idolatry, his firmness in enduring them for fifteen years in Mecca, his acceptance of the role of public scorn and almost of being a victim of his fellow countrymen… This dogma was twofold the unity of God and the immateriality of God: the former telling what God is, the latter telling what God is not; the one overthrowing false gods with the sword, the other starting an idea with words. Mahatma Gandhi, statement published in ‘Young India,’1924. I wanted to know the best of the life of one who holds today an undisputed sway over the hearts of millions of mankind…. I became more than ever convinced that it was not the sword that won a place for Islam in those days in the scheme of life. It was the rigid simplicity, the utter self-effacement of the Prophet the scrupulous regard for pledges, his intense devotion to his friends and followers, his intrepidity, his fearlessness, his absolute trust in God and in his own mission. These and not the sword carried everything before them and surmounted every obstacle. When I closed the second volume (of the Prophet’s biography), I was sorry there was not more for me to read of that great life. Aku ingin tahu yang terbaik dari kehidupan terbaik dari seseorang yang hari ini telah berkuasa dan tak terbantahkan atas hati jutaan umat manusia …. Saya menjadi lebih yakin dari sebelumnya bahwa bukan dengan pedang yang memenangkan berbagai wilayah bagi Islam saat ini dalam skema kehidupan keseharian. Itu adalah kesederhanaan, Pengabdiannya kepada Sahabat dan Ummatnya, keberanian nya, serta kepercayaan penuhnya kepada Allah dan dalam Risalahnya. Tidak ada yang dilukai pedang atas segala sesuatu sebelum mereka dan dapat mengatasi setiap rintangan. Ketika saya menutup volume kedua (biografi Nabi), saya menyesal tidak ada lagi dapat membaca lebih banyak tentang kehidupannya yang besar. Sir George Bernard Shaw in ‘The Genuine Islam,’ Vol. 1, No. 8, 1936. Michael Hart in ‘The 100, A Ranking of the Most Influential Persons In History,’ New York, 1978. My choice of Muhammad to lead the list of the world’s most influential persons may surprise some readers and may be questioned by others, but he was the only man in history who was supremely successful on both the secular and religious level. …It is probable that the relative influence of Muhammad on Islam has been larger than the combined influence of Jesus Christ and St. Paul on Christianity. …It is this unparalleled combination of secular and religious influence which I feel entitles Muhammad to be considered the most influential single figure in human history. Pilihan saya Muhammad untuk memimpin daftar orang-orang dunia yang paling berpengaruh mungkin mengejutkan beberapa pembaca dan mungkin dipertanyakan oleh orang lain, tapi dia satu-satunya manusia dalam sejarah yang sangat berhasil di kedua tingkat sekuler dan agama. … Besar kemungkinan pengaruh relatif Muhammad tentang Islam telah lebih besar dari pengaruh gabungan dari Yesus Kristus dan Santo Paulus pada Kristen. … Ini adalah kombinasi tak tertandingi dari pengaruh sekuler dan agama yang saya rasa hak Muhammad dianggap sebagai tokoh yang paling berpengaruh dalam sejarah manusia. It was the genius of Muhammad, the spirit that he breathed into the Arabs through the soul of Islam that exalted them. That raised them out of the lethargy and low level of tribal stagnation up to the high watermark of national unity and empire. It was in the sublimity of Muhammad’s deism, the simplicity, the sobriety and purity it inculcated the fidelity of its founder to his own tenets, that acted on their moral and intellectual fiber with all the magnetism of true inspiration. Within a brief span of mortal life, Muhammad called forth of unpromising material, a nation, never welded before; in a country that was hitherto but a geographical expression he established a religion which in vast areas suppressed Christianity and Judaism, and laid the basis of an empire that was soon to embrace within its far flung boundaries the fairest provinces the then civilized world. W. Montgomery Watt in ‘Muhammad at Mecca,’ Oxford, 1953. His readiness to undergo persecution for his beliefs, the high moral character of the men who believed in him and looked up to him as a leader, and the greatness of his ultimate achievement – all argue his fundamental integrity. To suppose Muhammad an impostor raises more problems that it solves. 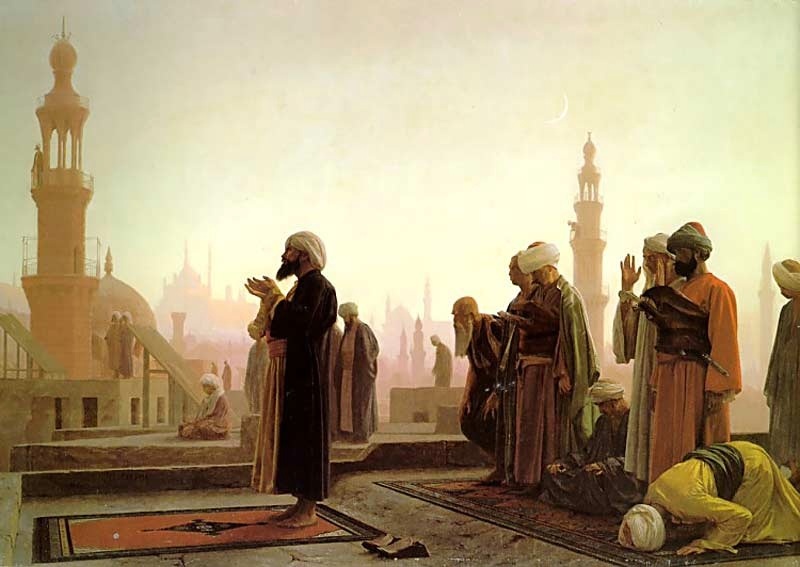 Moreover, none of the great figures of history is so poorly appreciated in the West as Muhammad…. Thus, not merely must we credit Muhammad with essential honesty and integrity of purpose, if we are to understand him at all; if we are to correct the errors we have inherited from the past, we must not forget the conclusive proof is a much stricter requirement than a show of plausibility, and in a matter such as this only to be attained with difficulty. Serious or trivial, his daily behavior has instituted a canon which millions observe this day with conscious memory. No one regarded by any section of the human race as Perfect Man has ever been imitated so minutely. The conduct of the founder of Christianity has not governed the ordinary life of his followers. Moreover, no founder of a religion has left on so solitary an eminence as the Muslim apostle. He was sober and abstemious in his diet and a rigorous observer of fasts. He indulged in no magnificence of apparel, the ostentation of a petty mind; neither was his simplicity in dress affected but a result of real disregard for distinction from so trivial a source.In his private dealings he was just. He treated friends and strangers, the rich and poor, the powerful and weak, with equity, and was beloved by the common people for the affability with which he received them, and listened to their complaints. James Michener in ‘Islam: The Misunderstood Religion,’ Reader’s Digest, May 1955, pp. 68-70. Incidentally these well-established facts dispose of the idea so widely fostered in Christian writings that the Muslims, wherever they went, forced people to accept Islam at the point of the sword. My problem to write this monograph is easier, because we are not generally fed now on that (distorted) kind of history and much time need not be spent on pointing out our misrepresentations of Islam. The theory of Islam and sword, for instance, is not heard now in any quarter worth the name. The principle of Islam that “there is no compulsion in religion” is well known.